Just a heads up. 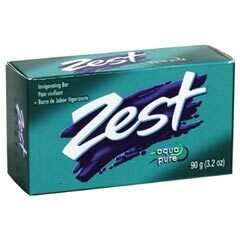 It’s being reported that Zest will be giving Car Shaped Soap to the first 200 people everyday until October 23rd @ Noon eastern time/ 9am Pacific Time. They haven’t given a link yet, but keep an eye on their facebook page. I’ll also update this post as soon as I find out. They didn’t say it was only gong to be 200 a day. oh well, guess I’ll have to pay a little closer attention. They also didn’t show where you entered either. Would make bath time so much easier ! They took my entry early this morning. I would LOVE one of these! Thank you!